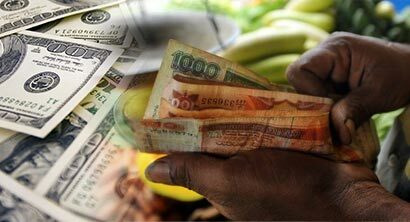 (Reuters) – The Sri Lankan rupee traded weaker on Thursday on importer dollar demand which outpaced thin greenback sales by exporters, forcing banks to switch to forward trades, dealers said. Dealers said the forward market was active as banks did not trade the spot rupee above 130.85 per dollar — a level seen as desirable by the central bank. A state bank, through which the central bank directs the market, has been defending the 130.85 level in the past few sessions when the currency was under pressure. The spot rupee was trading at 130.85/90 per dollar at 0610 GMT, weaker form Wednesday’s close of 130.82/85. Three-day forward or spot next, which was active in the market in the absence of an active rupee spot trade, traded at 130.92/131.00 per dollar at 0613 GMT, from Wednesday’s close of 130.92/95. “There was (importer) demand today and obviously you can’t buy spot above 130.85. So the spot-next was active,” said a currency dealer asking not to be named. Two other dealers Reuters spoke to confirmed the spot-next was actively trading due to higher demand for import bills. Dealers expect the currency to be under pressure due to lower interest rates that could result in higher imports in March and early April, ahead of the traditional new year in mid-April. Since short-term treasury bill yields fell to multi-year lows at a weekly auction on Tuesday, one-year rupee premium has risen by 70 cents. The market is still concerned over the impact of the Fed’s decision on gradual reduction in its bond-buying programme, with some dealers saying the rise in the U.S. Treasury yields could prompt foreign investors to pull out their investments in government securities. The Fed’s January decision to cut its monthly bond-buying programme has largely not affected Sri Lanka so far, though some foreign funds have sold a net 4.62 billion rupees ($35.31 million) in stocks in the four sessions through Wednesday. However, foreign investors bought 15.57 billion rupees ($119.1 million) in government securities in the week ended Feb. 5, the central bank’s latest data showed. The impact of inflows from this is yet to be seen, dealers said. Central Bank Governor Ajith Nivard Cabraal said on Jan. 27 that Sri Lanka should not experience any major capital outflows or market volatility due to the Fed stimulus cut. Dealers expect the central bank to keep the currency below 130.85 per dollar until April. Usually, the rupee is under pressure in March and early April due to seasonal imports ahead of the traditional new year in mid-April. The rupee has gained about 3.3 percent since it hit a record low of 135.20 on Aug. 28. It lost 2.5 percent in 2013. At 0622 GMT, Sri Lanka’s main stock index was up 0.09 percent, or 5.19 points, at 6,089.67, edging up from its lowest level since Jan. 10.